Bishoujo Senshi Sailor Moon Wallpaper: . :: [Paint me a Rainbow!] ::. 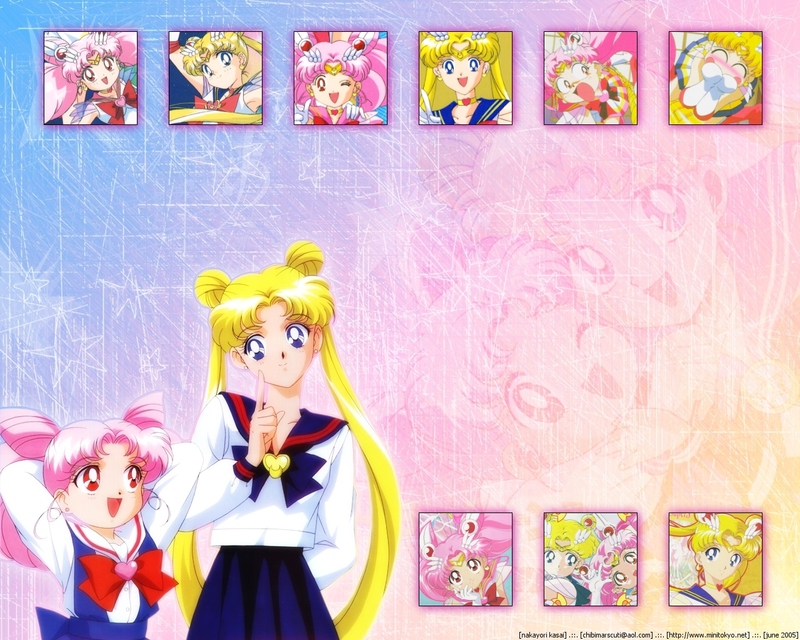 Minitokyo »	Bishoujo Senshi Sailor Moon Wallpapers » Bishoujo Senshi Sailor Moon Wallpaper: . :: [Paint me a Rainbow!] ::. it looks good and the background too. anymore, cuz' their not good anymore. Looks good! I like the BG, except I have no idea what category that is. x_x I'm guessing grunge. The fading the pic in the BG is also good. The small pics are really nice too! ...yea. And that's about all to conclude on this week's comments. Oh gosh, yeah, I was addicted too when I was younger ... Really enjoyed the series. This is a really cute wallpaper, lovely colours, they contrast with each other nicely. However all the images scattered around would be more suited to a layout. But don't take it as a bad thing, you made some nice brush effects, and good extraction Naka-chan! Wow Naka-chan! That's really really nice! I don't even know what to say. There are so many aspects to this wall that are quite amazing and then again confusing. (b/c i have NO idea how to do any of it) I like all of the mini-screen shots and the way you put Sailormoon and Reeni (or however you spell that) in the Bg. It all fits very well together, and although it may be colorful it all goes together real well. It's good to see you posting more walls up now. ^_^ hope to see even more! good work nakayori! sutil use of pink... very colorful and cute! I really like the angellic colors to this and the scan is quite adorable. The boxes with all those various snapshots wasn't that bad of an idea but they do take some focus away from the larger image/scan. And in addition, the white scratches/textures really add a nice touch to this! It's very cute!!! Great job!!! I've loved the pics and colors!!! ENJOYING THIS! THANKS SO MUCH FOR BRINGING SO MUCH JOY! wow) a truly great idea so many emotions and faces! very colorful - play wall ^^. Reflects their personality well and has a lot of pink but used in a subtle way that makes me love it ^^.